This precision screwdriver set contains a flexible shaft extension, a handle, an extension rod and 56 bits tool. The screwdriver set is used to open mobile phone, computer, Laptop, PDA housings, PSP, NDS, MP3 player, etc. The extension rod included can be inserted into the handle for length adjustment. Highly precision tips in various specifications for different uses. The handle is designed based on human mechanics, which makes operation more efficient, convenient and comfortable. 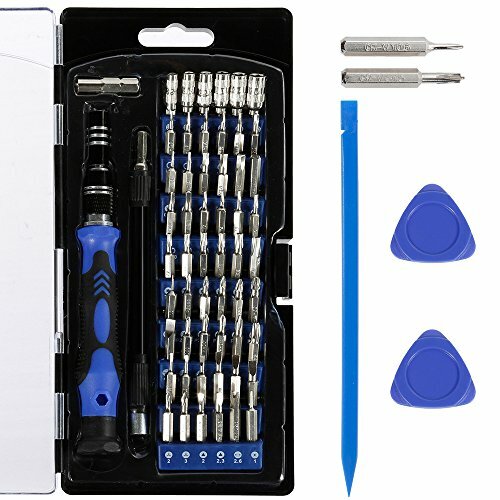 Precision screwdriver set can be used for a variety of projects with hobbies, automotive work and the computer repair and other electronic repair.